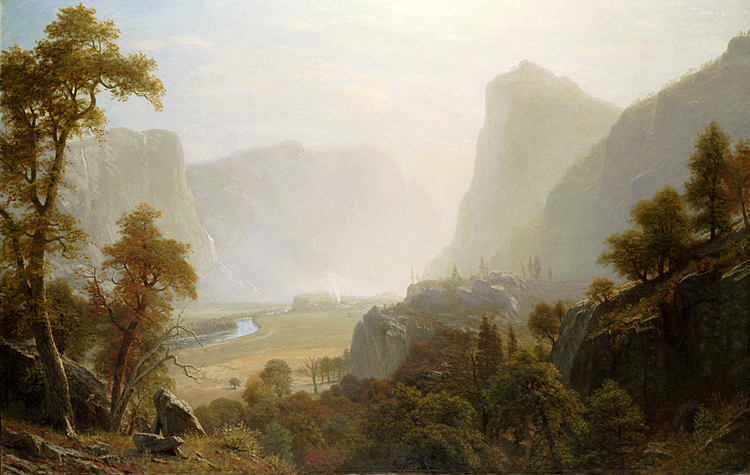 The Hetch-Hetchy Valley, California, 1870s, oil on canvas by German-American artist Albert Bierstadt (1830–1902), currently at the Wadsworth Atheneum Museum of Art, Hartford, CT. Image courtesy of Wikimedia Commons. In 1912 John Muir published his collection The Yosemite, which included “Hetch Hetchy Valley,” his essay singing the glories of the “other” Yosemite Valley and an argument against the construction of a dam that would flood the basin in order to provide water for San Francisco. The city had originally requested permission from the federal government to build a dam within the boundaries of Yosemite National Park in 1903 and again in 1905. The initial applications had the support of Gifford Pinchot, who became chief of the newly established United States Forest Service and who asserted that the impact of the dam would be minimal. When Muir first heard that his old friend was in favor of the idea he responded with dismay, “I cannot believe Pinchot, if he really knows the valley, has made any such statements.” The dispute would destroy their friendship, pitting Muir, the preservationist, against Pinchot, the conservationist, for the next decade. The city’s initial requests were turned down, but the matter received renewed attention when the water supply was disrupted by the devastating 1906 earthquake. City officials again applied to the federal government and this time administration officials, led by Secretary of the Interior James Garfield, were more sympathetic to Pinchot’s lobbying and approved the plan, subject to Congressional approval. 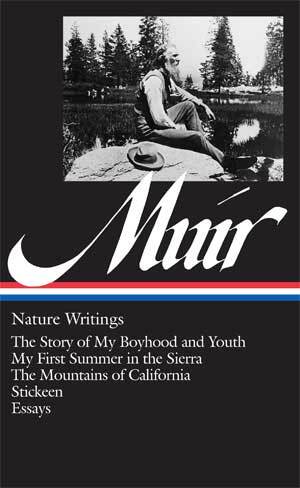 Muir, along with the Sierra Club he had founded a decade earlier, began a campaign against the proposal, and he published an early version of the following essay in the Sierra Club Bulletin. The measure stalled in Congress due to both the public outcry and the opposition of the new president, William Howard Taft, who would visit the valley in 1909. Muir, serving as the presidential guide, would argue to Taft that San Francisco could find alternative water supplies outside of the park’s boundaries, and the project was again shelved. The battle resumed when Woodrow Wilson became president in 1913. The new Secretary of the Interior, Franklin K. Lane, supported the dam, and once again Muir and the Sierra Club rallied their troops to oppose the proposal. Before the year was out, however, a bill granting San Francisco permission to flood Hetch Hetchy Valley passed. The strain of the effort to oppose the dam had taken its toll on Muir (he fell ill several times during this latest campaign), and he died a year later. O'Shaughnessy Dam, named after the project’s chief engineer, was completed in 1923, and the first water reached the city via aqueduct in 1934. Yosemite is so wonderful that we are apt to regard it as an exceptional creation, the only valley of its kind in the world; but Nature is not so poor as to have only one of anything. Several other yosemites have been discovered in the Sierra that occupy the same relative positions on the Range and were formed by the same forces in the same kind of granite. . . . If you don't see the full story below, click here (PDF) or click here (Google Docs) to read it—free! of the fall, the flora and fernery, the fresh air ,the vibrancy of the place make the reader experience the ethereal beauty vicariously. It is sad that despite the resistance of the preservationists, perhaps, the compulsions(I'm being a devil's advocate) of civilization had the upper hand and ultimately, the reservoir had to be was built. If it is rank commercialization that resulted in destruction of the heaven the place was, it is nothing but despicable selfishness. Thanks for the article. John Muir and the Sierra Club have had a long fight against a country and a government built on commercialism. on with good ideas and bad.